A leading Essex vet is calling for some canine camaraderie to help swell the numbers of dog blood donors at its practices. Cherrydown Vets, which is based in Basildon and has surgeries in Wickford and Stanford Le Hope, is appealing for dog owners to register their pets as potentially life-saving blood donors. An ideal donor dog has a calm temperament, is fully vaccinated, over 25kg in weight and under eight years old. 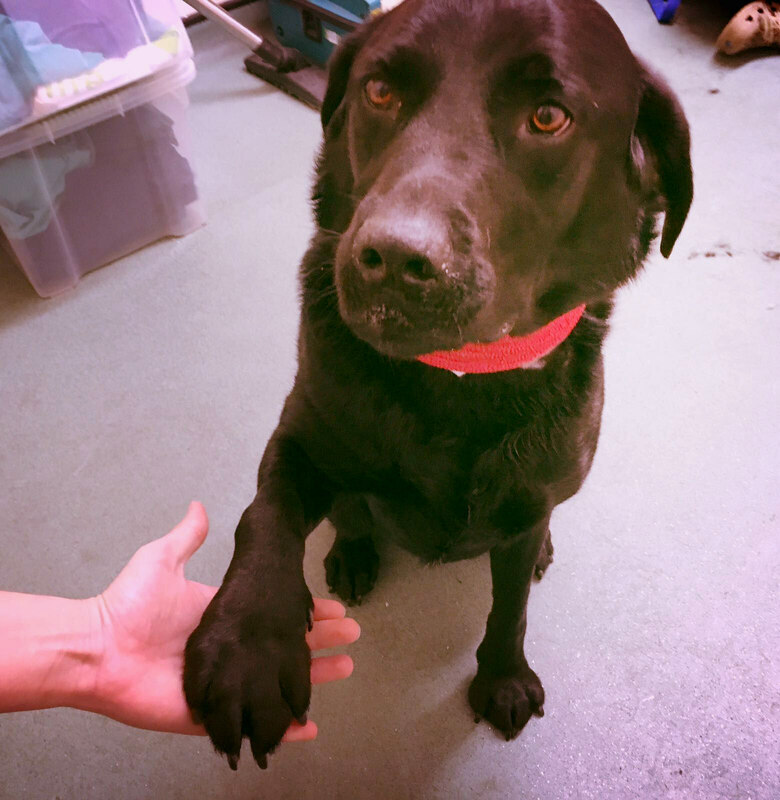 Dylan, a Labrador who celebrates his fourth birthday in August, donated a full bag of blood on his recent visit. Like all dogs who donate, Dylan got a tasty treat afterwards to help replace the nutrients in their bodies – the dog equivalent of tea and biscuits. Emma Blackman, practice manager at Cherrydown’s Basildon base, said: “We need donor dogs for the times when we’re carrying out major surgery and there may be a danger of some blood loss. “Veterinary care has moved on so much and there is so much more we can do for our pets nowadays, so having enough donor blood is vital for us. “We’re a 24/7 emergency vets, so donors could be helping dogs involved in road traffic accidents and other critical situations. Donating blood takes about 20 minutes and Cherrydown offers a £35 credit to owners’ accounts. Previous PostPrevious Snakes and adders are not a game!